Here’s what I’ve been up to today! 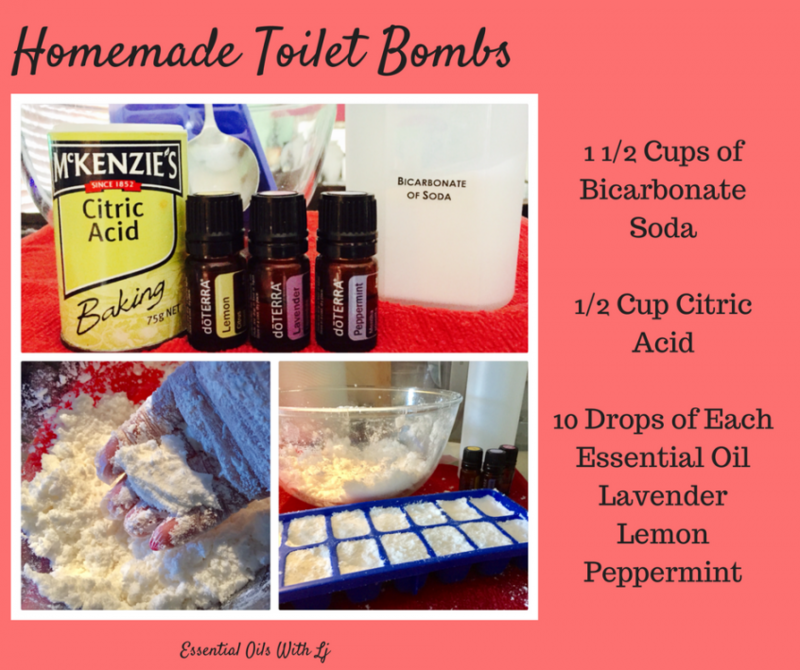 Experimenting with some homemade toilet bombs! SO easy to make and a Chemical Free cleaner. Citric Acid kills bacteria, Baking Soda absorbs odours and the essential oils refresh and smell amazing! Add the Bicarbonate and Citric Acid to the glass bowl and mix well. Add the essential oils and mix well. Spray very small amounts of water at a time and mix in with your hand. You need very very little water only a few sprays to make the consistency like wet sand, just enough so that you that it starts compacting together and forming shape. Add to ice cube tray or moulds and pack firmly. Leave to set overnight or about 6 hours until form. Pop out and store them in a glass jar until ready to use. Throw one into the toilet and let it fizz away, scrub with your toilet brush and flush. That’s it! Fresh smelling chemical free toilet cleaner! doTERRA Essential oils are CTPG Certified and are amazing for uses alll around the home from home made cleaning products, air fresheners or simply diffusing! The healthy benefits are incredible. For more great idea’s and to join and save on your Essential Oils click the link below. Happy creating!